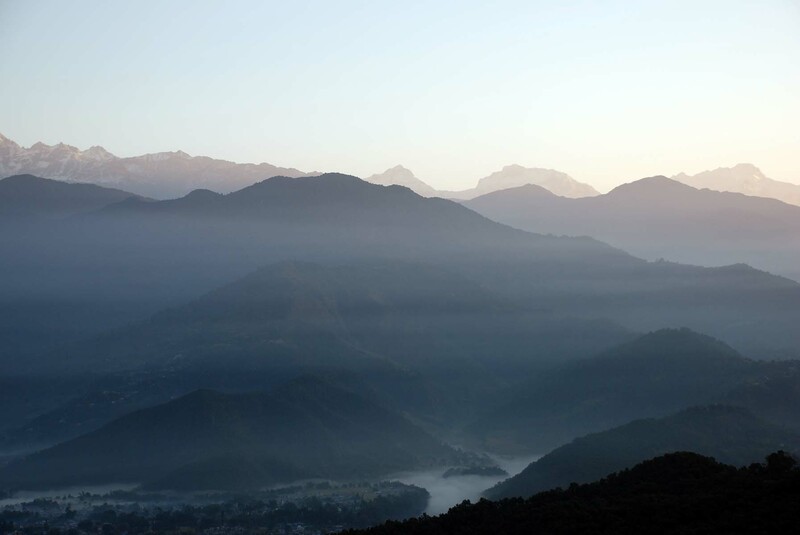 We will explore Kathmandu Valley’s Cultural World Heritage Sites designated by UNESCO. These include ancient palaces and temples. 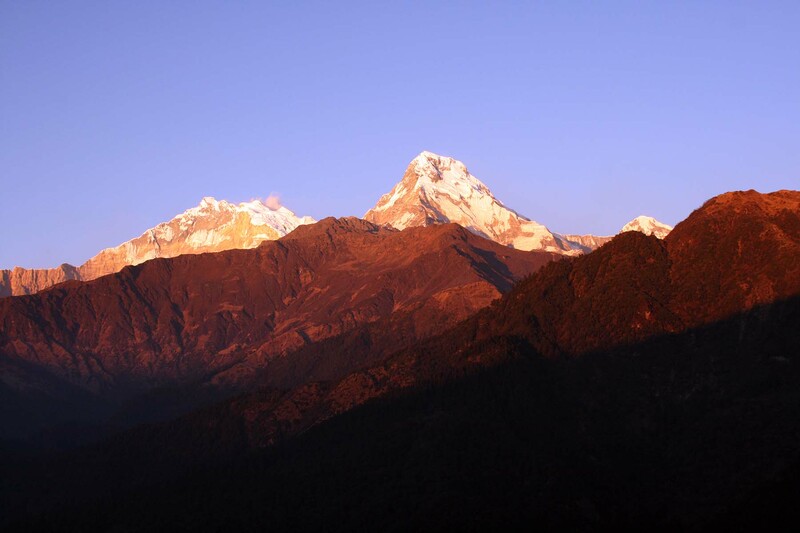 During the hiking part of the trip, we will see the awe-inspiring beauty of the Annapurna Himalayan range, while experiencing the natural and cultural landscape of Nepal as we hike through the foothills. 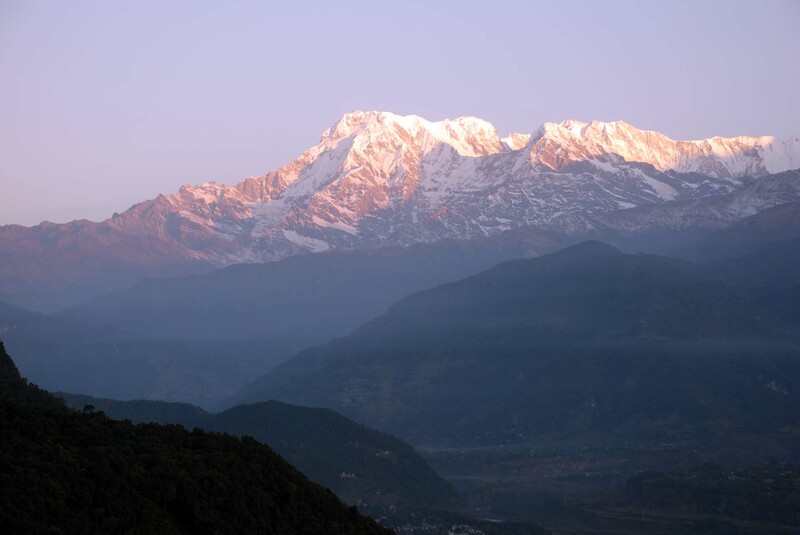 Annapurna Panorama Trek takes us through beautifully terraced fields, villages and scenic vistas with snowcapped peaks. This trip involves staying in the lodges for the night and trekking on the main trail from one lodge to another. Breakfast and dinners are served at the lodges where you spend the night. Lunch is served at local inns and restaurants while on the trail. 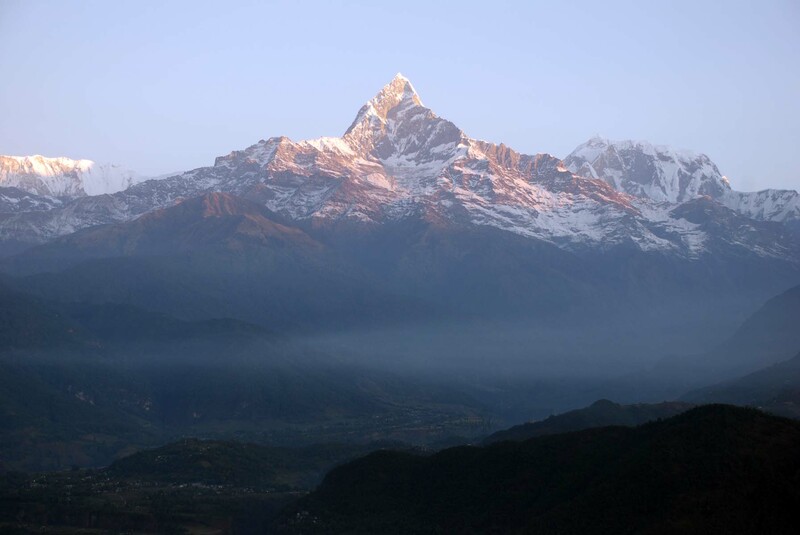 We will take a morning flight to Pokhara (3,149ft), meet our trekking crew, drive to Phedil, and trek to Dhampus (5,248ft). Lunch served en-route at a local inn and then continue trek to our evening stop. 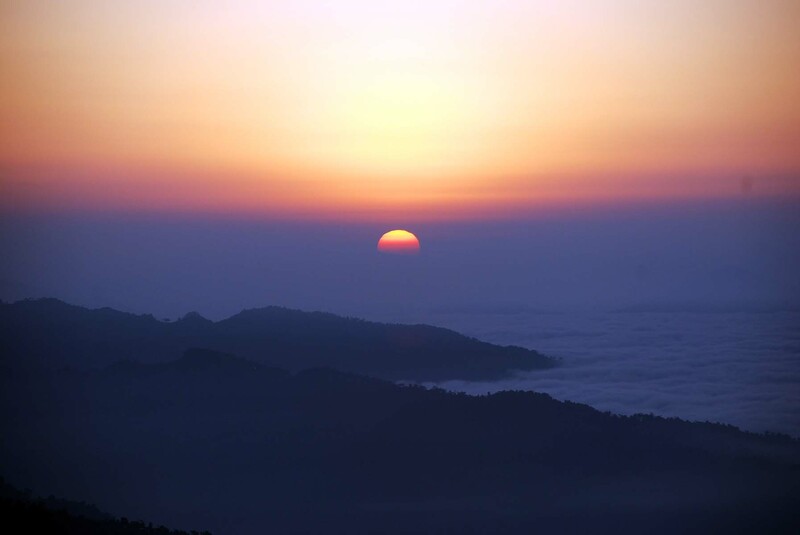 Breakfast and trek on a scenic trail that goes through forested area, farmlands and villages. Uphill trail in the morning for about one hour and half, then a small downhill and the rest is straight. 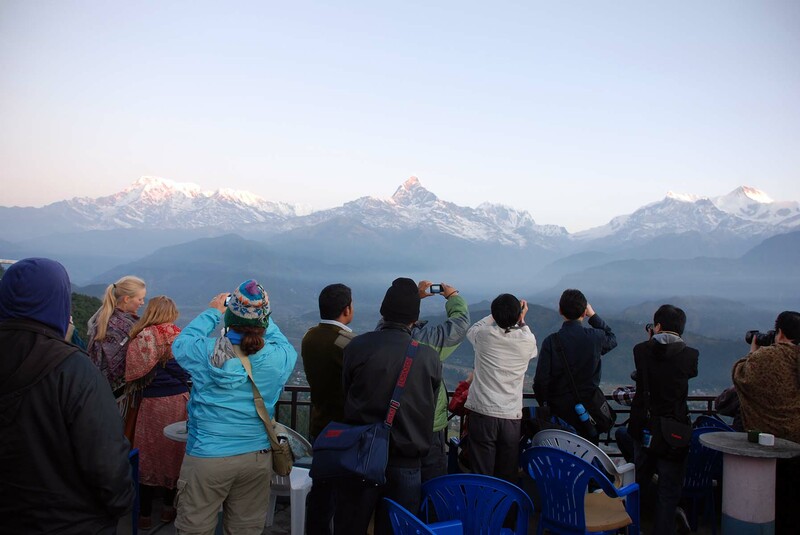 We will enjoy great views of the Annapurna Himalayan range. 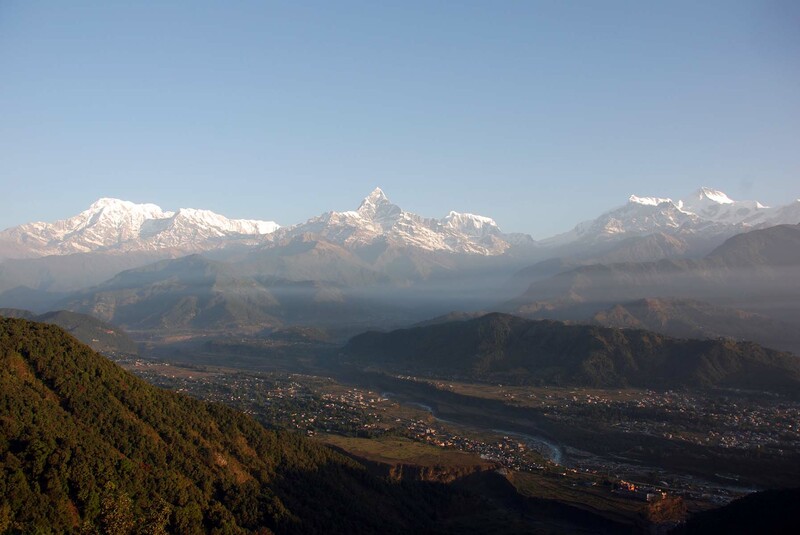 Breakfast and trek along the Modhi River gorge with scenic views of the towering peaks of Annapurna South, Hiunchuli and Machhapuchhare. Our morning part of the trail is easy down and straight and then uphill in the afternoon for about two hours. Then a alh hour down will take us to our evening halt. Overnight at lodge. We will trek through sparsely settled area to Kimrong Khola. Then the trail climbs up and goes through Rhodorendron forests until we reach our evening stop at Tadapani. Today, we have the chance to see various birds and langur monkeys as we walk through the forest trail. Also mountain views and scenic vistas en-route are excellent. 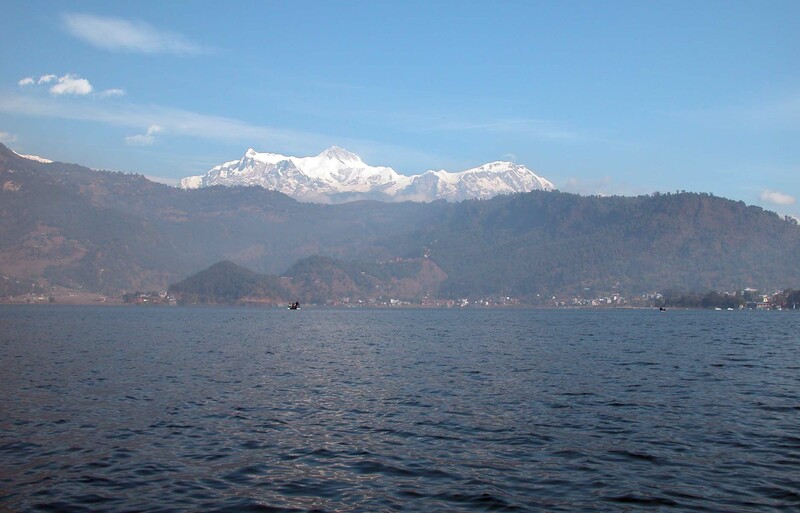 We will trek an easy downhill and some straight trails to our waiting vehicle and transfer to Pokhara. 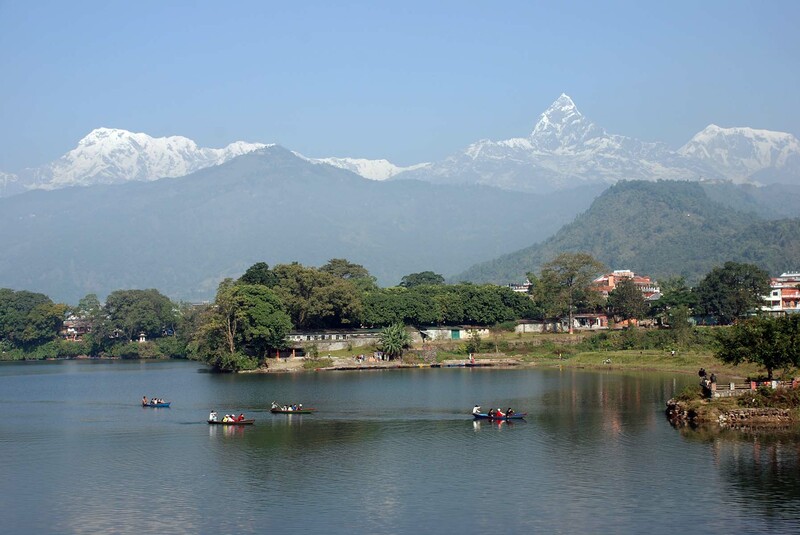 Arrive at our hotel for check in and then explore the Phewa Lakeside on foot and boat. Overnight at hotel. On arrival, transfer to your hotel and at leisure on your own. Evening-farewell dinner.